Brown and friends team up with Pretz for this snack-tastic sticker set! 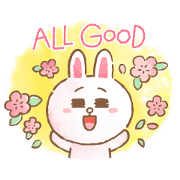 Put a little extra flavor in your chats with these deliciously fun stickers. Friend Pretz’s official account to get them for free. Get free HyperRabbit stickers! 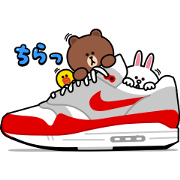 Friend the LINE Stickers official account to get the set. 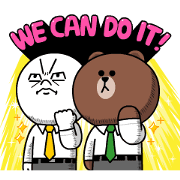 The LINE characters are ready to make their mark on your workplace with this new sticker set! There’s plenty of polite messages to send to your boss and coworkers alike. Give ’em a try for all of your daily office chats! Cony’s love is blossoming?! 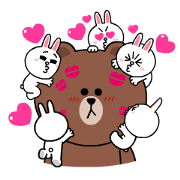 Brown and Cony are ready to heat things up in this love-packed adorable sticker set. Put some heart into your chats with your favorite couple! Send out a few sticker well-wishes with Brown and the rest of the LINE gang! These cute stickers feature wonderful watercolor designs along with lovely messages to share with friends and family alike. Celebrate the launch of the Nike app with this special set from Brown and friends! 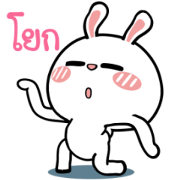 Thinking about using these stickers to liven up your chats? Just do it! Friend Nike’s official account to get them for free. 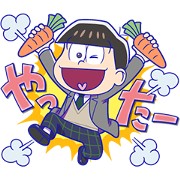 Mr.Osomatsu the Movie teams up with LINE BROWN FARM to celebrate the movie’s release! Don’t miss out on the younger Osomatsu bros! Get to user level 8 or higher and deliver 6 trucks of items in the game to get the set for free. 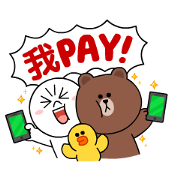 These special stickers are available for you—just apply for a LINE Pay iPASS account and they’re yours! Complete your first payment with your LINE Pay iPASS account to get these limited-edition LINE FRIENDS stickers for free.